We checked into the hotel and 20 minutes later we were back on the main road towards the main town of Chora, a 30 minute walk down the main road. Most of the tourist population has left the island. It’s pretty tranquil here in October. 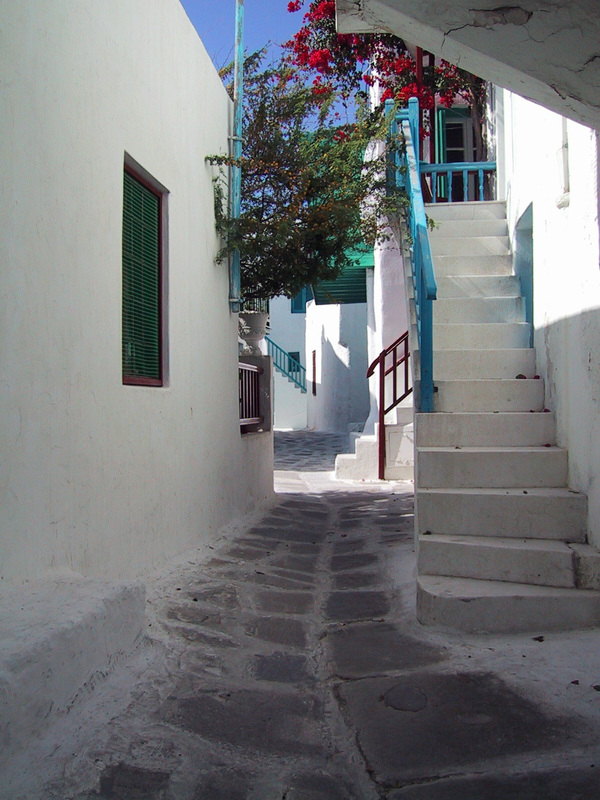 During the tourist season (May-September), Chora is the party central, where Disco and electronic dance music vibrate off the ancient white walls all night long. About 10 minutes into the walk, we came across a dead cat squashed into the side of the road. It was a sad sight but neither of us wanted to move the animal. We decided to let nature take it’s course. We named it Ouzo and it became our landmark. Once we got to Ouzo, we knew we were only about 15 minutes from Chora. In the 4 days we spent on Mykonos, Ouzo never moved. We had a lot of fun trying to speak Greek to the locals, using up every word we learned. We always try to have at least the basics; hello-yassus, thank you – efharisto; excuse me – parakalo; good morning-kalimera; good afternoon-kalispera; good-night-kalinickta or tikanickta; bill please: logarismo. It doesn’t matter how poorly you say the words, the locals really love that you are making the effort. Chora is a charming town when the tourists are gone. We walked around a harbor named Little Venice where the houses literally hang off the island over the Aegean Sea. We found an Internet Café, checked our email, and after an hour or so, walked back past Ouzo the cat and returned the hotel. After renting a couple of motorbikes in Chora, we scooted off to the village of Anno Mero, had a very authentic cup of greek coffee and watched a couple of cooks heat up the oil for the morning batch of fried calimari. The smell was intoxicating. We ordered a small bag. Delicious. We finally settled in at Paragkha Beach for a quiet little afternoon of sun, protected from the Mykonos Meltimi winds. For the most part we were secluded from everyone but there were a few old queens strutting their ancient penises adorned with gold jewelry. That night we took the bikes back into Chora town for dinner at Al Vento, recommended by Small Christina from the hotel. A fun meal with a show of fireworks over the little harbor. A cruise ship was docked in the harbour and the cruiseline arranged for the show. We caught the ferry over to Delos and became part of an English speaking tour group where our guide, Natalie, quizzed us relentlessly, mostly on the 12 state-sanctioned Greek gods (Zeus, Poseidon, Hades, Hera, Athena, Ares, Apollo, Aphrodite, Hermes, Hepheastus, Artemis, Hestia). According to our guide, Delos is the largest archeological excavation in Greece. It once had a population of 50,000 persons (including women and slaves). 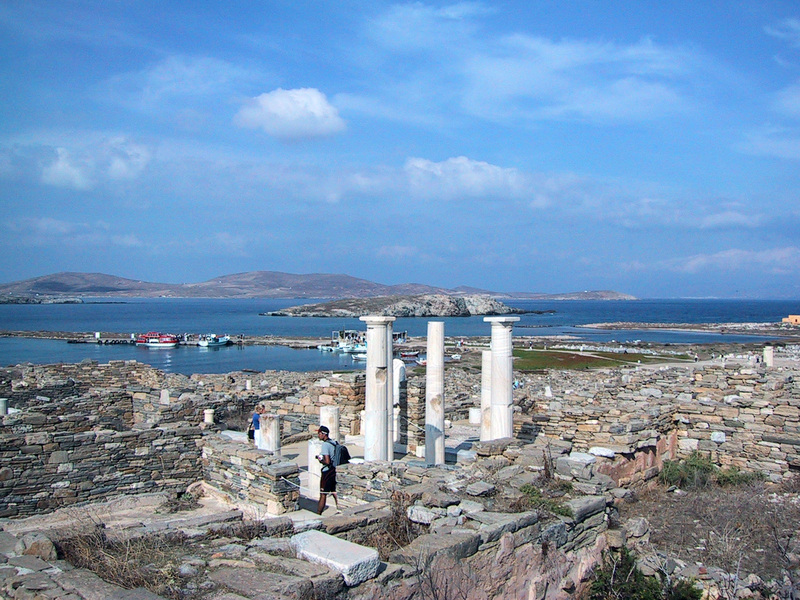 Delos was the birthplace of the twins Apollo and Artemis. 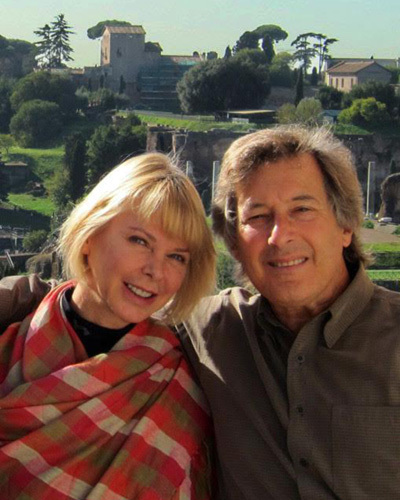 During the Persian wars of the 5th century BC, the treasury of Athens was moved here for protecion. It was a pretty wealthy and prestigious place to be. Some of the larger homes had indoor plumbing.. But eventually the island got sacked so many times by Pirates and such, everyone moved away. As it turned out, there wasn’t much protection at all. 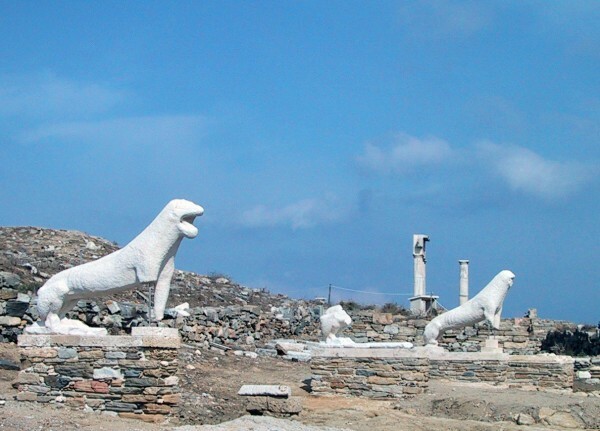 The Lion Terrace is the most famous of the Delos ruins, but there was a very sizeable theatre here as well as a few Roman aqueducts and several agoras. It’s really windy in Mykonos this time of the year. The Meltimi winds usually end in late September but they’ve lasted longer this year. It’s too cold to ride the motor bikes, too cold to go to the beach, and too cold to lay at the pool. We spent the day hanging out with Eva, Big Christina, Little Christina and George, watching them close up the hotel for the winter. We are the last guests for the year. Except for us, the hotel is empty. We’re sad it’s so cold. They’re happy to be going home to Athens for a while.